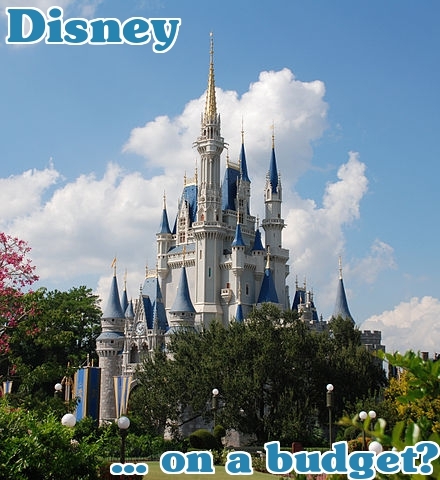 Think it’s impossible to plan a family vacation to Disney World on a budget? Disney expert Elana Maister is back today to share her best tips. In my last post I discussed planning a Kosher visit to Walt Disney World, but what you eat is only a small part of your Disney vacation. Now lets discuss the big picture of planning a family vacation to Disney World that maximizes everyone’s enjoyment while keeping to your budget. So, when should you go? The answer depends on what you’re looking for. The time of year you choose for your Walt Disney World vacation can make a big difference to both your budget and your Disney experience. If you can be flexible about travel dates, consider the pros and cons of the “Value Seasons”, when crowds are smaller and Disney is working harder to bring in more visitors. For those on a budget, there is no better time than January and February (excluding President’s Day and Martin Luther King day). The resort rates and the crowds plummet as soon as January 2nd rolls around. Disney knows that most people have been on a long vacation and are now heading back to work and school so they do whatever they can to lure you in, including releasing promotions that offer a big discount. Promotions have limited availability and are announced several months in advance so it’s a good idea to book your trip at least three months before you travel. Promotions may include free dining, discounted hotel rooms, and discounted park tickets. When considering a January or February trip there are two potential drawbacks to keep in mind. The first is the weather! Florida winters can be unpredictable and I’ve spent many a January night walking around the Magic Kingdom wearing a coat and gloves. This also means that if you’re looking to get in some pool time on your vacation, you might be disappointed (although all of Disney’s outdoor pools are heated). But for those who prefer cooler weather to heat and humidity, this is a great time of year! The second potential drawback is the hours. The parks close earlier in winter months, but since crowds are light you won’t need as many hours to enjoy the full experience of each Disney park. And early sunsets mean that if you have young kids you can stay for the fireworks and still make it back to your resort for a reasonable bedtime. Though the parks might close early, Disney still has a lot to offer for night owls. Downtown Disney is open late every night and offers shopping, dining, and recreation. Disney’s hotels also have a lot to offer with pools, arcades, bars, and restaurants. If you’re looking for warmer weather, the week after Labor Day through mid November is a great time to travel: kids are back in school and the summer crowds (and prices!) will have dropped. The first few weeks in December also offer lower prices and lighter crowds. The only difference is, the parks will be decked out in all their Christmas glory – everything from background music, to parades, and of course decor. Although other times of the year don’t necessarily fall into the Value Season, Disney still offers regular promotions that can save you a lot on accommodations, tickets and dining. Choosing your vacation dates wisely can help your budget and your wait times in the parks, but even if you travel during a busier season Disney World has so much to offer. An experienced Disney Vacation Specialist can always help you find the best deals and plan your itinerary to make the most of your trip. So now that you’ve figured out when to go, where should you stay? Disney World has 23 resorts on property and they are broken down into three main categories; Deluxe, Moderate, and Value. No matter which category you choose, you’ll be treated with Disney’s impeccable customer service and attention to detail and you will find yourself immersed in Disney’s incredible theming. Disney’s resorts offer something for every taste and budget: whether it’s a resort designed to make you feel like you’re in the Caribbean, the middle of an African Savannah, or the middle of the sea with Nemo and friends. Families of 5 or more often have a hard time finding a resort that can fit them all in one room, which can mean having to book two (or more!) rooms. Disney had these families in mind when they opened their newest resort: “The Art of Animation.” Designed with the same immersive, larger than life theming as the other value resorts, the Art of Animation is made up primarily of Family Suites that can sleep up to 6 (plus an infant.) In addition, many of the Deluxe resorts offer 1, 2 and 3 bedroom villas which can sleep up to 8 or 9. And those at the Values will find themselves surrounded by larger than life icons from their favorite Disney classics, a huge hit with the young and the young at heart. All Disney resorts offer complimentary transportation to and from the Orlando International Airport, as well as complimentary transportation from the resort to all 4 theme parks, 2 water parks, and Disney’s Downtown area. An added perk for guests staying at a Walt Disney World resort is “Extra Magic Hours.” Every day one of the four theme parks is open one hour earlier or up to three hours later exclusively for Disney resort hotel guests. It’s a great way to beat the crowds and ride your favorite attractions without the wait. The alternative to Disney’s resorts is to stay off site. Disney is surrounded by “Good Neighbor Hotels” which are only a short ride away from the parks. These off site hotels often offer lower prices, especially for suites. The drawbacks of the off site hotels is that they don’t all offer complimentary airport transportation, and guests cannot take advantage of Extra Magic Hours or Disney’s package promotions or dining plans. Once you’ve decided where to stay, what about park tickets? Disney would rather you spend every day of your Orlando vacation in Disney instead of going to the other popular Orlando theme parks – so they give you an incentive by lowering the price you pay per day. For example, if you purchase a one day ticket, you’ll be paying $89, but if you purchase a 10 day ticket that number drops to $31 per day. There is a “no expiration” option that you can add to your tickets so even if you’re going for 3 days but you know you’ll be back in Florida again you can purchase a 10 day ticket with the no expiration option. Even if prices go up (as they usually do every sumer), your tickets will still be good no matter when you use the remaining days. (The no expiration option does cost extra, though.) Otherwise, your tickets expire 14 days after the first day they are used. Disney makes it easy to bundle your resort, tickets and even dining into one easy package. Your Disney vacation specialist can make it even easier, and more affordable by helping you figure out the best plan for you and your family, all at no additional cost to you. Want more information on the Disney Cruises or Disney Resort hotels, kosher food, Disney’s good neighbor hotels, or anything else Disney related? Elana Maister is available to book and help you plan out in detail any Disney Vacation, whether it be Disney World, Disneyland, Disney Cruise Line, or an Adventures by Disney Vacation – all at absolutely no cost to you. You can reach her at [email protected] or find her on Facebook. You make a Disney vacation sound sooooooooo enticing. Can’t wait to book with you and take advantage of your advice and experience. A few suggestions from Someone who lives 15 minutes from Disney world. There is a new Kosher hotel outside disney world by Animal Kingdom. The one weekend I would not recommend is the Princess Marathon weekend. Also make sure you have some type of plan for a day, there are a few websites that do this . There is also a Kosher vegan bakery at Downtown Disney. Can I bother you for the name of the kosher vegan bakery in downtown disney? Rachel ~ There are definitely pros and cons to both staying off site and on! I find that staying on site makes the whole experience more immersive and I don’t have to worry or think about a thing. But staying off site can definitely give you more room to stretch out and depending on the time of year can help stretch the budget too! What is the name of the kosher hotel? and where is it?